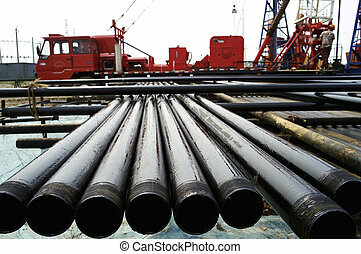 Drill pipe of oil drilling platforms. 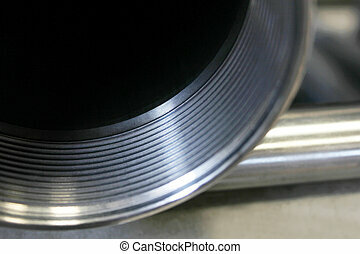 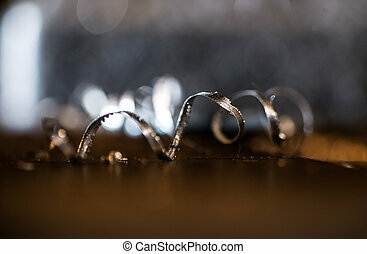 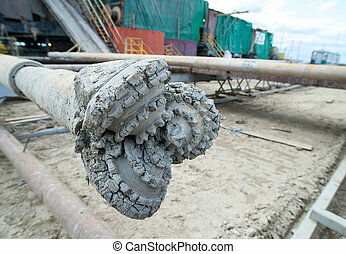 Drill pipe in action, close-up. 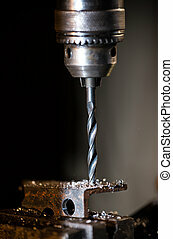 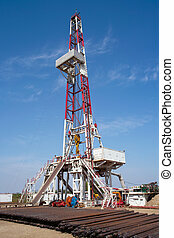 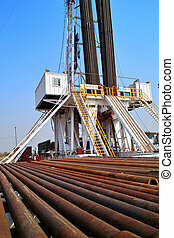 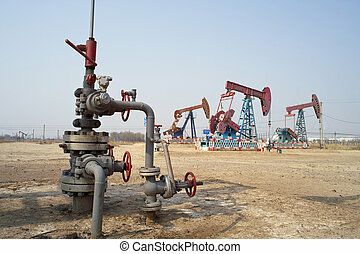 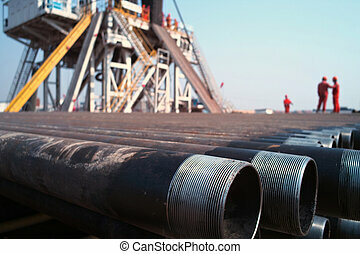 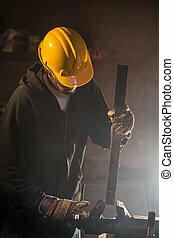 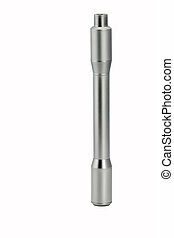 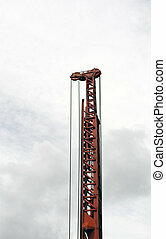 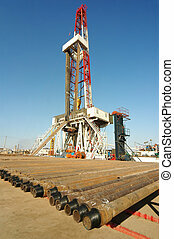 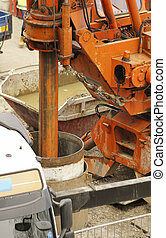 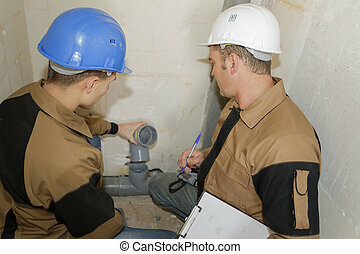 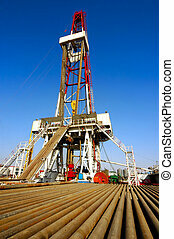 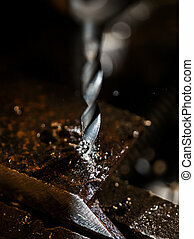 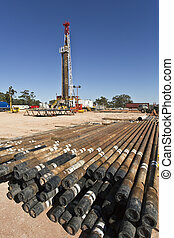 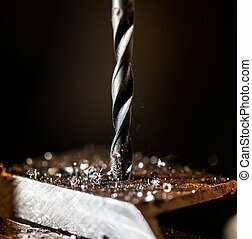 A construction site with tools and materials as well as a drill pipe which drills a hole. 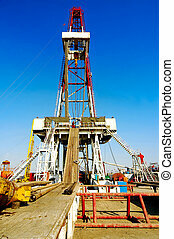 A holder and boom with a cable winch for a drill. 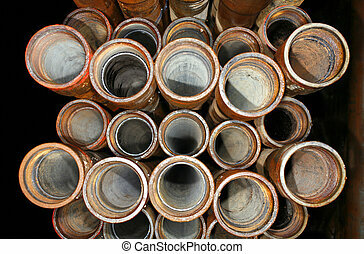 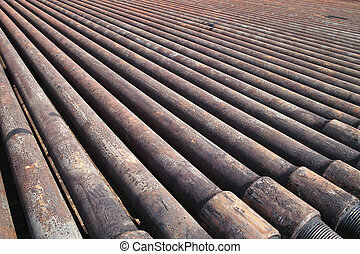 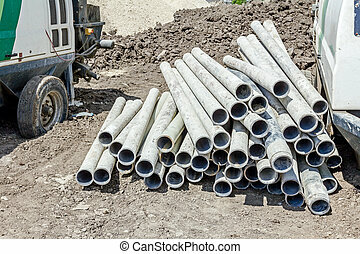 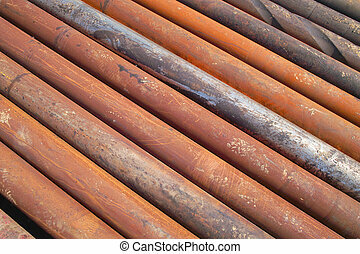 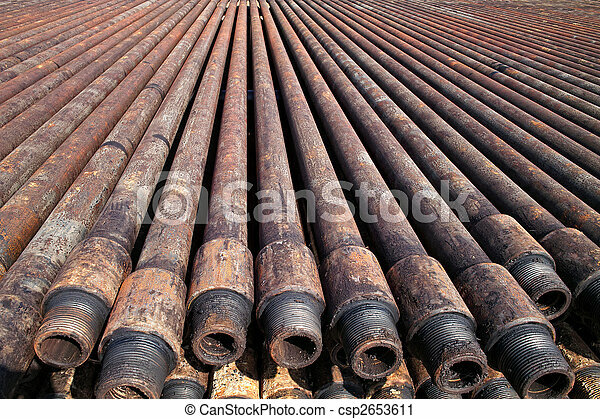 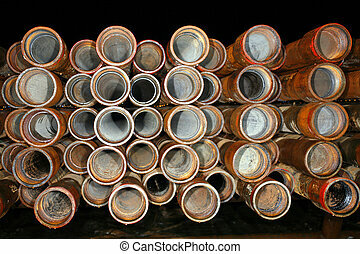 Pile of used pipes for drilling water wells waiting to drill into deep ground.